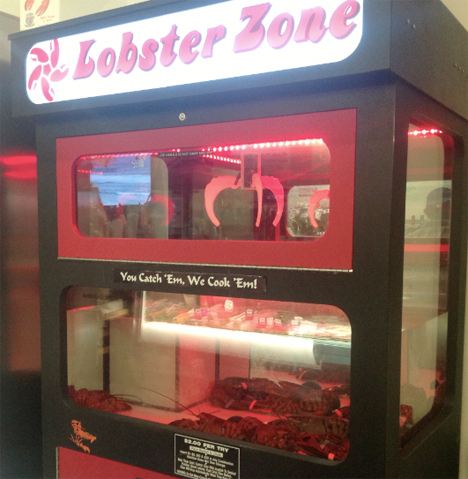 Forget crackers and candy bars – you could be buying live lobsters, bike parts, whole heads of lettuce and even freshly baked baguettes with the push of a button from vending machines across the world. In fact, if you’re willing to blow into a breathalyzer and show your ID to a camera, you can even get a bottle of wine. 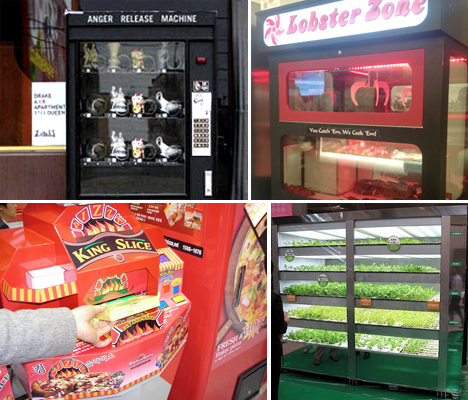 These 18 vending machines take instant gratification to surprising extremes. Few things are more satisfying when you’re feeling livid than smashing a fragile object to smithereens. 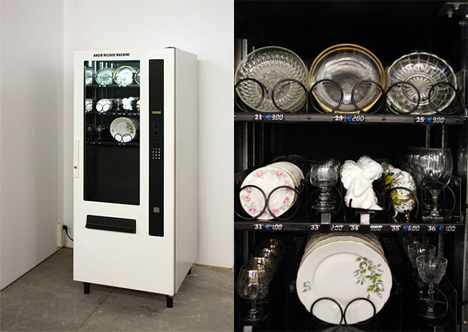 This vending machine caters to anyone who needs to release some anger , offering your choice of statues, vases, plates and glasses in highly breakable materials – though you won’t get to break it yourself. The satisfaction comes from watching the item fall into the bottom of the machine. 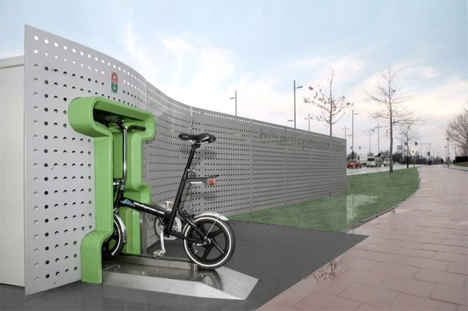 The Bike Dispenser will spit out a dorky looking bicycle in exchange for your cash. While it’s just a concept, the idea is that you can either bring the bike back to the original vending machine location when you’re done, or ride it one-way to another machine. The bikes are fitted with RFID chips to keep track of them. 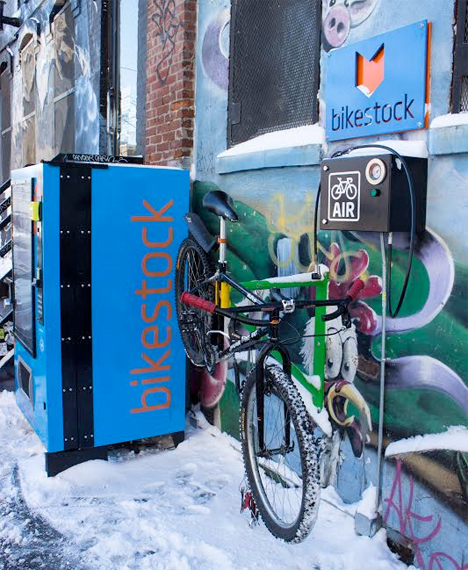 In New York, cyclists can find another bike-related vending machine that’s actually pretty handy: Bikestock offers bike parts, tools and locks as well as food and a quick tire fill-up. Let’s say you’ve landed at the airport in a strange city after a red-eye flight only to find that the airline lost your luggage. You might be happy to see vending machines filled with blue jeans and socks. 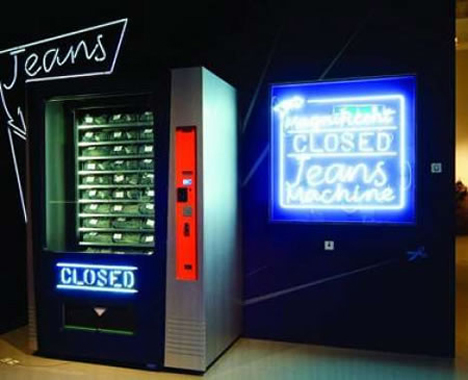 The brand ‘Closed Jeans’ has installed vending machines in train stations across Europe. Sock vending machines offer everything from colorful, stylish options to the most basic white athletic socks. The latter can sometimes be found in bowling alleys. If you’ve ever stared at the sad, cold offerings in a vending machine, wishing you could have some hot pizza instead, you might be in luck (if you can actually find one of these.) 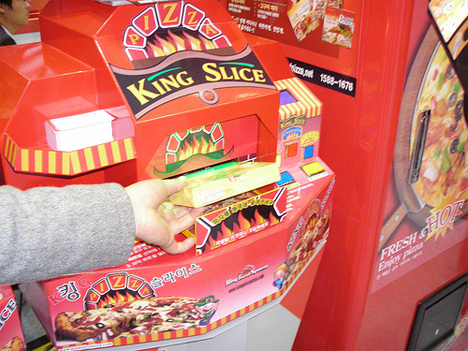 Pizza vending machines have been common in Asia for a while, and are now popping up in the U.S. thanks to Wonder Pizza USA, which offers steaming nine-inch whole pizzas in two minutes. If you prefer to mainline your refined carbs, hoover up some instant mashed potatoes and gravy at your local 7-Eleven courtesy of Maggi’s gross mashed potato machines. Other hot foods that can be procured disturbingly quickly with the push of a button include french fries, hot dogs, fried chicken and even squid. 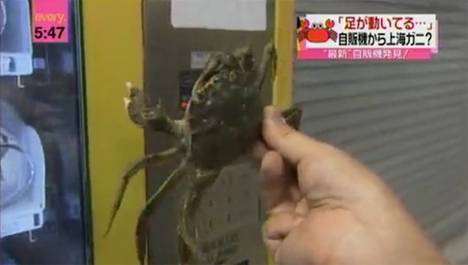 Lettuce doesn’t seem like an ideal item for a vending machine, considering its tendency to wilt pretty quickly. But this particular machine takes care of that problem by actually growing the lettuce on sponges under fluorescent lighting. 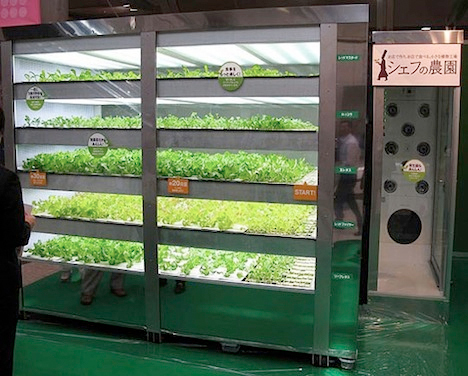 Chef’s Farm, found in Japan, can produce 60 heads of lettuce per day. 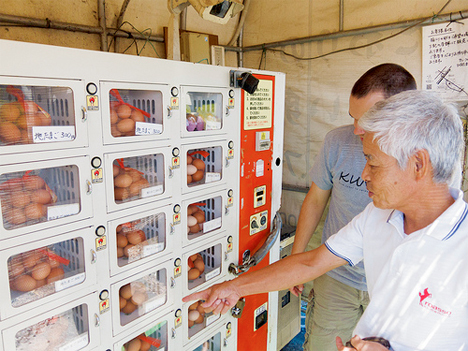 In rural Japan, where convenience stores are hard to come by, it’s not uncommon to find vending machines offering cartons of eggs. Need a freshly-baked baguette at three in the morning? If you’re in Paris, you’re in luck (for a number of reasons). A baker decided to take advantage of the August holiday season, when most bakeries close up shop, by offering a 24-hour baguette vending machine filled with partially cooked loaves that are finished off just when you need them. The baker, who lives above his shop, came up with the idea after being repeatedly disturbed by potential customers knocking on his door after hours. Isn’t it annoying when you need some gold bars fast, but all the banks are closed? 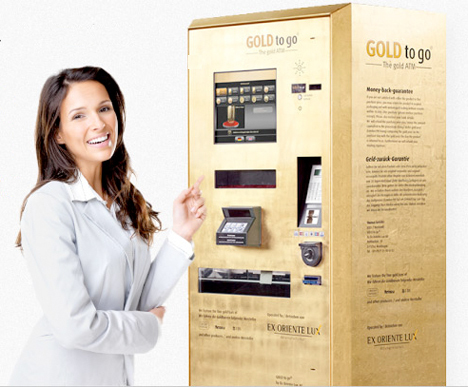 Gold to Go has got you covered with blast-proof, camera-guarded vending machines that will dispense small wafers of gold in exchange for your cash. The prices are updated automatically every two minutes to keep up with constantly fluctuating gold prices. The machines can be found in airports and shopping malls in Abu Dhabi, Austria, Switzerland, Germany, Great Britain and a few U.S. locations. Show your ID to a real live person watching you via CCTV from a call center, blow into a breathalyzer to prove you’re not already drunk, and you can get a bottle of wine from a vending machine in Pennsylvania. The kiosks, introduced in response to the state’s archaic liquor laws, can be found in grocery stores. 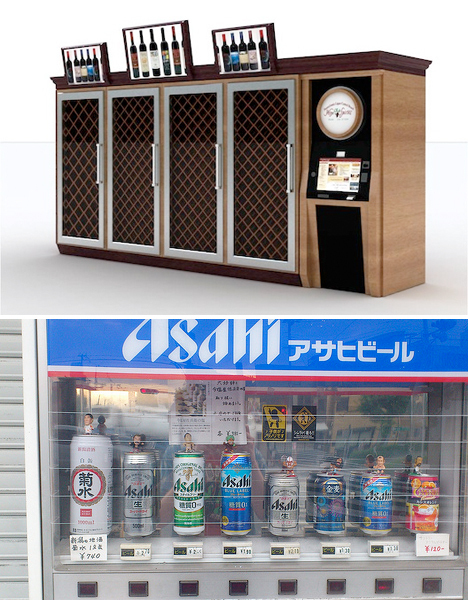 In Japan, some vending machines will pour you a pint of draught beer, while others offer a range of cans. For a promotion, Amstel offered free beer to any customer who could stand completely still in front of a vending machine for three minutes. 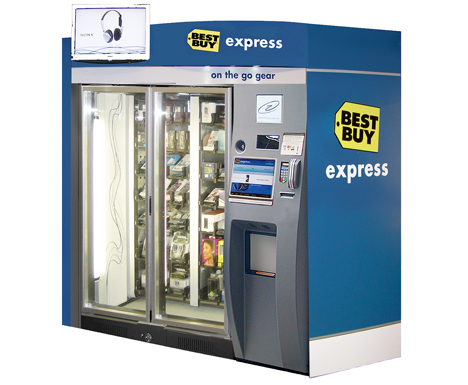 Best Buy’s airport kiosks are an increasingly common sight, offering last-minute, travel-oriented gadgets like digital cameras, phone batteries, headphones and pre-paid international cell phones. Better hope you press the right button, because if you need to return something, you’ll have to call an 800 number and wait for a prepaid label to come in the mail. 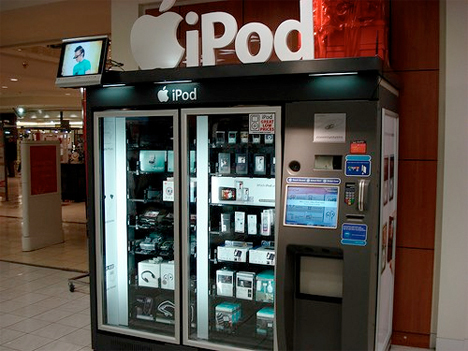 Vending machines offering virtually every iteration of the iPod have also been spotted, and it’s almost guaranteed that they aren’t endorsed by Apple.